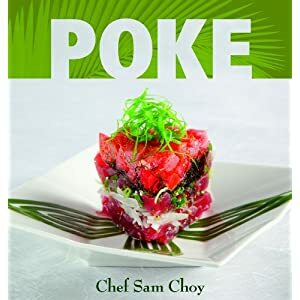 Poke Style Pasta - you know where we are going with this right. A "what to do with leftover poke" has become a welcomed dish in our household. Now I make it all the time. In a mixing bowl, combine ahi, onion, tomatoes, olives, garlic, basil, salt and pepper; marinate “poke” for 10 minutes. Heat oil in a heavy skillet, add poke mixture and cook, until fish is opaque, about 5 minutes. Spoon poke mixture over pasta. Garnish with capers, cheese and parsley sprigs (I prefer cilantro). Serves 2.